Johnny Phifer was serving as the pastor of Walnut Lawn Church of God in Springfield, Missouri. Rick Herald was the pastor of LifeQuest Church, also in Springfield. Neither church was on life support or even in serious trouble. Still, each church did have its fair share of challenges; in particular, the average age of the Walnut Lawn congregation was progressively older, while LifeQuest faced a sizeable debt. But, while it’s true that the notion of a merger seemed to address these basic needs, these were not the primary motivators for a decision of such far-reaching implications. There had to be more. And there was. A move of dramatic proportions like this one would necessitate much change. There would be growing pains, and it would be anything but easy. As Johnny and Rick began to discuss the possibilities, they acknowledged the hurdles they would face, though they never suspected just how hard it would be. Later they reflected how important it was that they couldn’t have imagined the scope of the challenges, realizing such a glimpse could have kept them from moving forward. Johnny Phifer speaking, Howard Megill (Missouri Ministries) in center, Rick Herald at left. 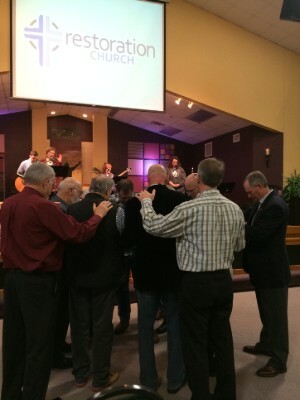 Commissioning the new board of elders. Though the vote to merge was overwhelmingly positive, not everyone stuck around. The new church saw some loss from both previous congregations. A shift in metrics—measuring what matters—encourages Rick and Johnny. 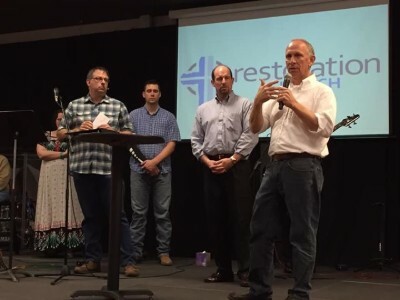 Making disciples, not filling the seats, is what matters most to Restoration Church. So, while the loss of some was painful, the church is remaining obedient to what God called them to do. 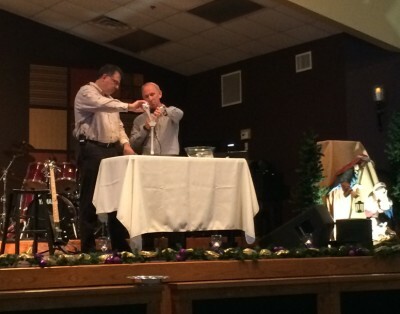 Co-pastoring, then, became a learning curve for both former solo lead pastors. Much detail work goes into a merger; it’s not all celebration and it’s not all glamorous missional activity. Administrative matters cannot be overlooked. Bank accounts, property sales, bylaws, budgets, and much more go into something of this magnitude. But the payoff is incredible, and the church rejoices in the progress that God been made. One of those rewards is their new facility, a former conference and event center. The new venue has allowed room for the rental of office space, which foster community relationships and provides additional revenue. There’s even a Korean church that meets on the property. 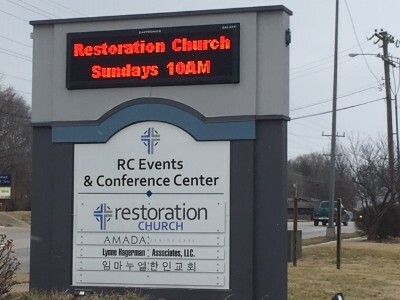 Restoration Church’s sign at the new conference center. Learn more about Restoration Church at www.restorationspringfield.com. Learn more about the Church of God at www.jesusisthesubject.org. This entry was posted in All Church of God, Central, Give Life and tagged better together, change, changes, co-pastors, copastoring, Howard Megill, Jesus Is the Subject, Johnny Phifer, leadership, life cycle, LifeQuest, merge, merger, Missouri, Missouri Ministries, MO, proactive, Restoration Church, Rick Herald, Springfield, union, united, unity, Walnut Lawn. Bookmark the permalink.